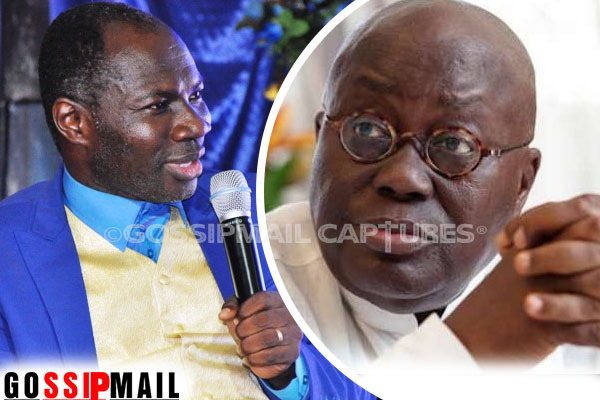 The founder of the Glorious Wave Ministry, Prophet Badu Kobi has criticized the Akufo-Addo-led administration over its alleged use of some GHc 5.24 million of state money to support the Ghana @ 60 anniversary. The Man of God indicated that it was clear deception on the part of the government who had earlier purported that the no money was going to come from the state for the celebrations. He said he was a tax payer and had every right to lambast the government for going back on its word. On Thursday, July 20, the deputy finance minister, Kwaku Kwarteng, speaking in Parliament indicated that an amount of GHc3.1 million of the proposed GHc 20 Million for the celebrations was sourced from government’s coffers and another whopping GHC2.16m was gathered from the District Assembly’s Common Fund amounting to the overall amount of GHc 5.24 million alleged to have come from the government. The prophet quizzed what the money was used for and wanted the usage to be made public. He said he was acting in his right as a well-meaning Ghanaian. He added that the nation was without focus if it finally came to light that the reported amount did truly come from the government. He added that the NPP administration only deceived the electorates to get their votes with the assurance of guarding the public purse. He also said that the NPP before assuming the governance mantle for NDC indicated that they were not going to borrow but in less than 7 months, they have gone on a borrowing spree. He indicated that most of the promises of the NPP administration including the flagship, One District- One Factory were yet to be actualized. The man of God later said if care was not taken, he would be forced to take serious legal action against the president for his actions. In spelling out the break down for the Ghana @ 60 celerations in February, President Nana Addo Dankwa Akufo-Addo mentioned that the proposed GHc 20 Million which was budgeted for the celebrations was going to come from Corporate Ghana and private individual contributions. However, some government functionaries have come out to rubbish he claim that the said amount came from government coffers.